Date: Aug 11 2018, 1:30 a.m.
Switzerland is well known for mountain views, chocolate and cheese. Enjoy a delicious day when you sample all three! In Montreux, on the shores of Lake Geneva, you will board a train and enjoy first class comfort and amazing views in either a modern panorama car or a Belle Epoque Pullman car as it climbs through the mountains to the medieval village of Gruyères where you will tour La Maison du Gruyère cheese factory and taste the local cheese at 3, 6 and 9 months of aging. During your free time in Gruyères, you can visit the historic Château de Gruyères, built in the 1200’s and designated a Swiss Heritage Site of National Significance, the terrifying H.R. Giger museum, or simply enjoy the scenery, shopping and fine food in the foothills of the Swiss Alps. The highlight of the trip will be when you visit the Nestle/Cailler world headquarters in nearby Broc where you will experience a sensory smorgasbord culminating with an all you can eat chocolate tasting! 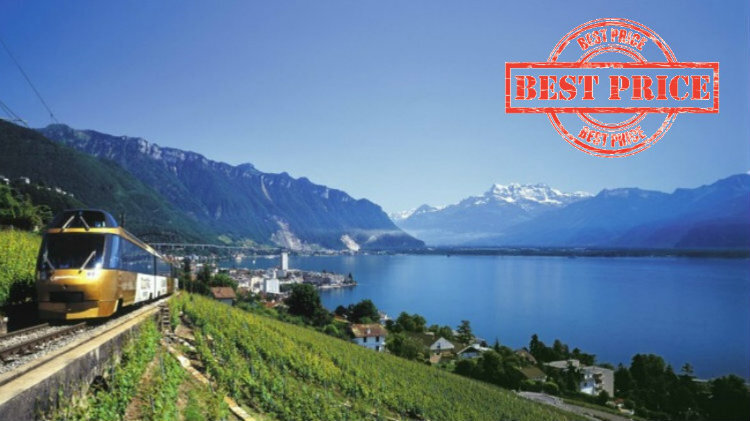 After returning by alpine rail to Montreux, you will round out the day on Montreux’s Grand Rue, sightseeing or shopping while the sun sets over Lake Geneva and the French Alps. This upgrade to our Swiss Chocolate and Cheese Tasting trip is only available in July and August. Reserve your space by calling Kaiserslautern Outdoor Recreation today. Children under 12: $149 p.c.